Provided that you can no longer purchase a Galaxy Note 7, we recommended that you check out the Galaxy S7 Edge earlier this week. I know what you’re thinking, though, “Tim, there’s no Blue Coral option for the S7 Edge!” Well, that could be changing if the latest leak pans out to be accurate. 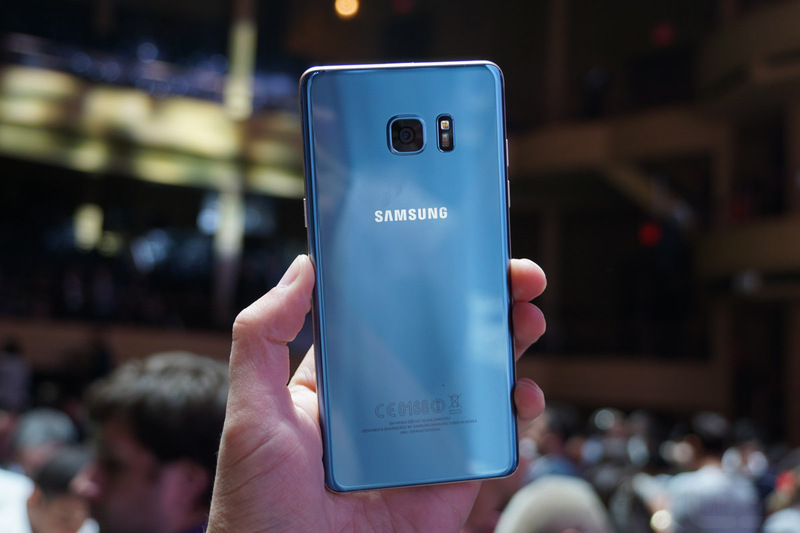 Blue Coral was a color introduced first on the Galaxy Note 7, and to my surprise, it seemed to resonate with quite a few people. It was a bright and shiny blue, along with rose gold accents on the siding. To put it gently, Blue Coral was an acquired taste. 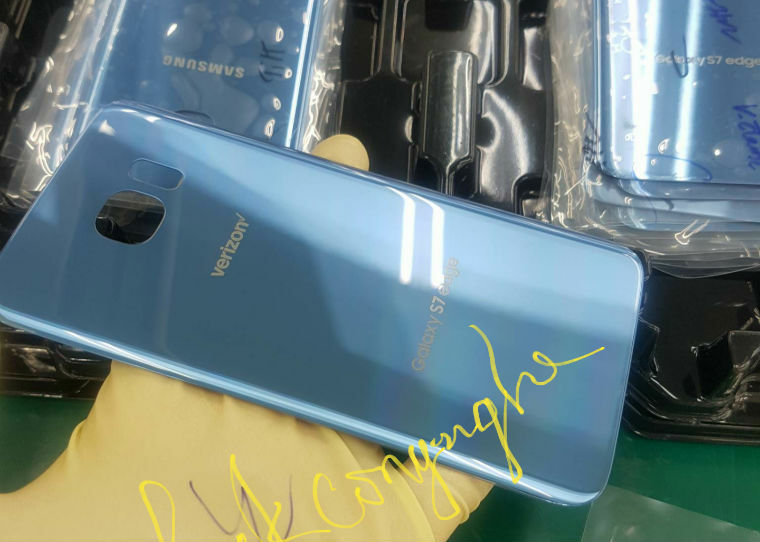 According to an image posted onto the web, it appears Samsung is working hard to produce a new colorway for the S7 Edge, that color being Coral Blue, of course. In what I’m assuming to be an attempt to bring more attention to this device and away from the Galaxy Note 7, if Samsung was to launch a new color, they can perform a new round of marketing for the S7 Edge without looking too foolish. The phone is seven months old after all. We can clearly see Verizon branding on the phone’s backside shell, but that does not lead us to believe it’s a carrier exclusive by any means. Sitting right behind the foreground shell, we see a Samsung logo printed on another shell, meaning Samsung is manufacturing plenty of backsides for different variants. The Galaxy S7 Edge in Blue Coral. That could be hot.